Zebra Z-Band Direct Wristband Cartridge Kit - 1' x 11' Direct thermal Polypropylene wristband, White, adhesive tamper-evident tab for securement. Scannable up to 14 days. 200 labels/roll, single roll. 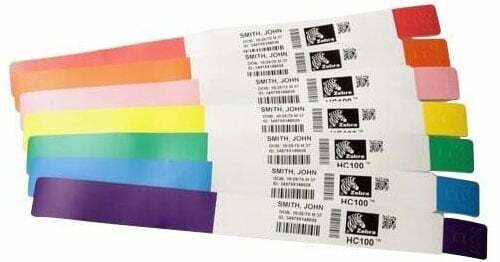 Wristbands contained in an easy-to-load cartridge for HC100 Printer. The Zebra 10006995K-R is also known as 10006995K-R	or 10006995KR	.